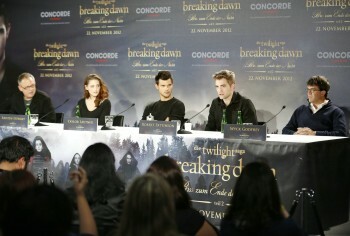 General overview of the press conference via ToR. We'll post the video if we get it. Question for RKT; asking for their favorite lines in the whole saga. Taylor has some lines popping into his head, he doesn't know. He liked the tent scene. Kristen talks about Bella, how she changed during the saga. She says she still feels really close to all the scenes. Taylor talks that its weird, the end. no more twi movies. Yeah, we don’t go to breakfast every Sunday, but yes, we still are good friends. 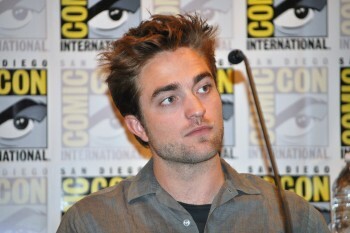 Question Rob: the end is a big surprise for the fans can you say something about it? 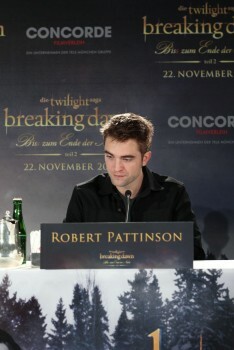 Rob: We’re not allowed to talk about it. I didn't read the book so had no idea we could make our own suggestions. The end isn't the same as in the book. The fans have their own imagination how it’s going to end so why not us? Q:Do you have problems with remembering the lines? Bill said it wasn’t his type of music but he kept thinking about what would fit into the scenes. Barbara asked RKT but put four questions into one and nothing really made sense. Rob said Twilight was his first American movie and that he was shocked by it all. 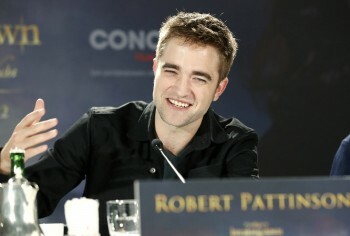 Q: 20.000 fans at the Munich New Moon fan event, Rob looked impressed. Can you compare the fan event, the fans with now? 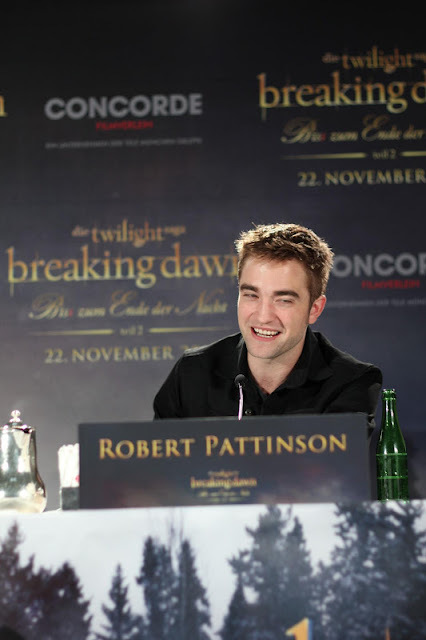 The fan event in Munich was surreal, I had no idea what does it mean to be an actor. We’re doing this for 5 years now, it’s crazy, the devotion. 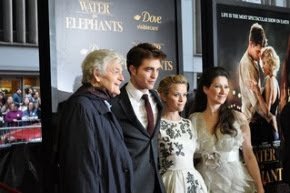 Questions for RKT, when looking back at how much the saga has influenced their lives. Would they sign the contract again? Q:Have you ever listened to your German voices? 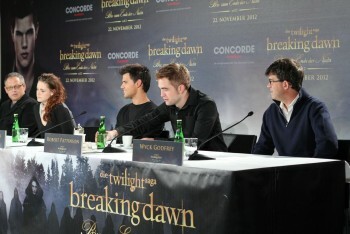 Rob: No, I haven’t seen the movies in German, I don’t know our German voices. Rob said he likes when the films are dubbed, like in Spanish. *laughs* It even sounds better in Spanish.